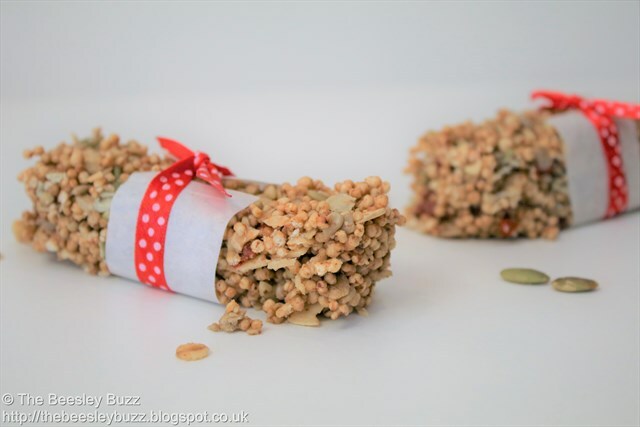 After an overindulgence of cake for D's birthday recently, I decided to make a batch of Henrietta Inman's Goji berry cereal bars so that we'd all have healthy treats to snack on this week. 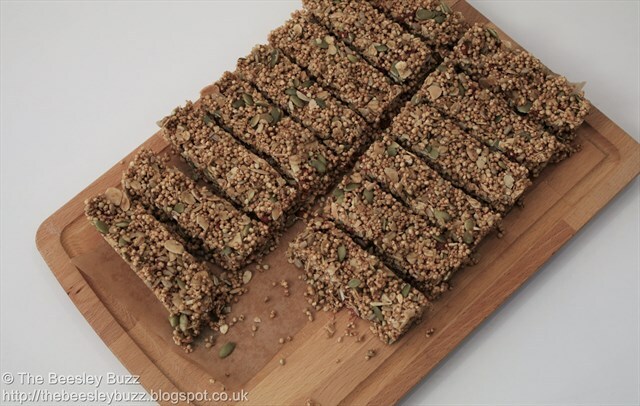 They're brilliant because they are refined-sugar free and this is actually a no-bake recipe so quite easy to do. The recipe is in her Clean Cakes book which I adore and seem to be making my way through cooking every single recipe. But I also found it online here. 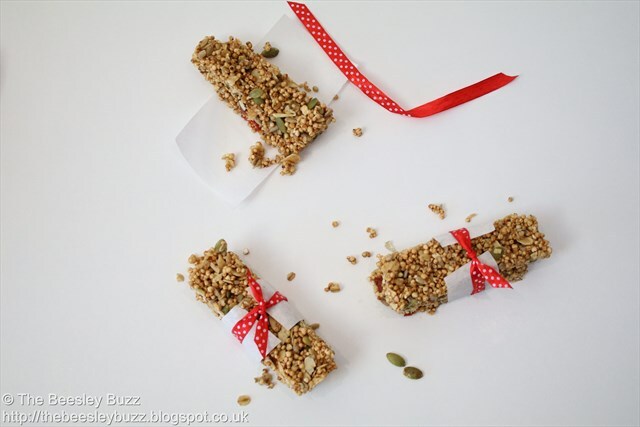 I made a couple of little swaps like using more puffed quinoa as I didn't have brown rice puffs and using a combination of almond butter and peanut butter as I didn't have cashew nut butter at home at the moment. They turned out quite soft and crumbly even after being put in the fridge - but that made them all the more moreish. Surely it is only right to keep nibbling away at any bits that keep crumbling off, right? These are so so brilliant! 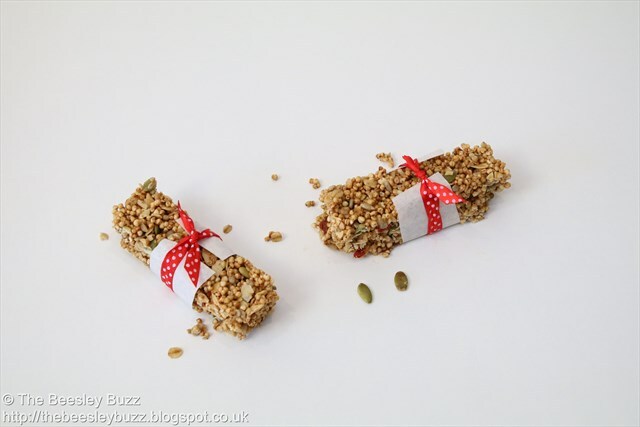 These sound perfect for taking on one of our walks Rebecca - we'd just have to remember to catch the little crumbs as the fall away as we eat them - it'd be rude to let the crumbs fall to the ground! I love how you've presented them too, they look for inviting.